Healing and rejuvenating powers of beauty are well-known, and nowadays, it is very popular preparing homemade beauty and skin care products using the recipes of ancient folk medicine and the ones formulated by modern specialists. This is a very effective way for every woman to use exclusively the ingredients and constituents which are good for her particular skin type. Also, this way every woman can be sure that her homemade remedy for skin care is fresh and has high quality natural ingredients. Grape seed oil. This is one of the best natural oils for skin care as it is very light and can be absorbed by our skin easily. It is very rich in vitamin E and polyphenols, which are powerful antioxidants and can slow down aging processes. They also have strong anti-inflammatory and antiseptic properties, which make grape seed oil irreplaceable ingredient for skin care remedies for acne, skin infections and other related problems. 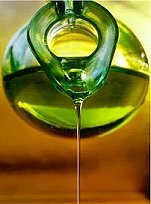 That is why this oil is recommended for teenage skin, as well as for blemished or oily skin. Castor oil. This natural ingredient for skin care will do perfectly well for dry and mature skin. It has Ricinoleic Acid, which has amazing anti-bacterial and anti-inflammatory properties, meaning that this natural oil can be used to treat acne, itching, irritations and skin infections. Our skin can absorb Castor oil very deeply, and this oil can help us make our skin look youthful, smooth, soft and unlined. In addition, it prevents scar formation. Almond oil. This oil is very versatile and has a sweet very pleasant aroma. It is suitable for all types of skin and is widely used in cosmetics for its excellent nourishing and emollient properties. Almond oil can soothe skin, prevent allergic reactions, improve skin color and make skin clean and glowing. Coconut oil. For its great natural moisturizing and emollient effects, this oil is frequently used for massaging and rubbing it into skin. Coconut oil is recommended for all skin types and is a great solution for preventing dryness and flaking of skin. Also, it has strong anti-inflammatory powers which make it effective even for such serious skin problems as dermatitis, psoriasis and eczema. Apricot kernel oil. This oil is very often used as an ingredient of homemade remedies for skin care. It is quite similar to almond oil both in its gentle aroma and therapeutic properties. Apricot kernel oil is very rich in fatty acids and Vitamin E which are absolutely essential for skin health. Therefore, this oil is valued for its high nutritional content, as well as for moisturizing and emollient powers.